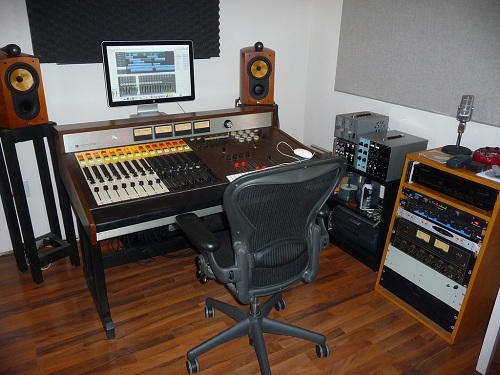 Larry DeVivo's Electrodyne ACC1204 Console at Silvertone Mastering, with a fine selection of outboard gear! Back in the late ‘40s and early 50's, the first incarnation of Electrodyne was a manufacturer of tube-based audio modules (preamps, line amps) for the film and broadcast industry. In the ‘60s, as its later incarnation, it would go on to help pioneer the console industry as we know it. Throughout the ‘60s Quad-Eight was a sales company that had Control, thus many of the early Quad-Eight consoles have Electrodyne stamped on the components inside. Both Electrodyne and Quad-Eight consoles were ordered by the likes of 20th Century Fox, Universal, Lions Gate Films and others, but they were not limited just to film companies. 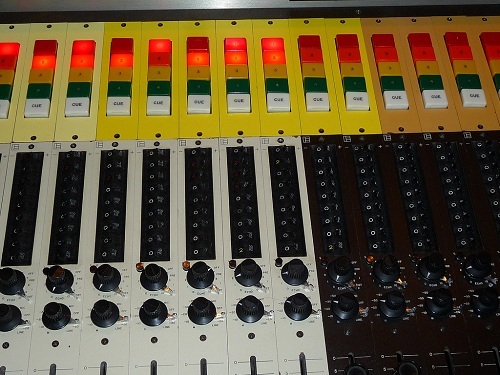 Decca Records, Warner Brothers, Motown (which according to Motown mastering engineer at the time, Bob Ohlsson, “had the first VCAs in it, possibly making it the first automated console”) and Stax (as shown in Tape Op #44) featured consoles, as well did live venues such as The Hollywood Bowl, The Mormon Tabernacle and The Grand Ole Opry. Back in the day there just weren’t many companies building recording consoles. Electrodyne was the first to bring many new concepts to console design that we take for granted today, like a padded arm rest (!) and features like putting the preamp, line amp, equalizer, send and returns and attenuator into one nice little “input module: as they like to call it, which of course could be plugged into a larger frame and routed to a mono, stereo or even multitrack recorder. Sound familiar? Foundational text and pictures used with the permission of Larry DeVivo. 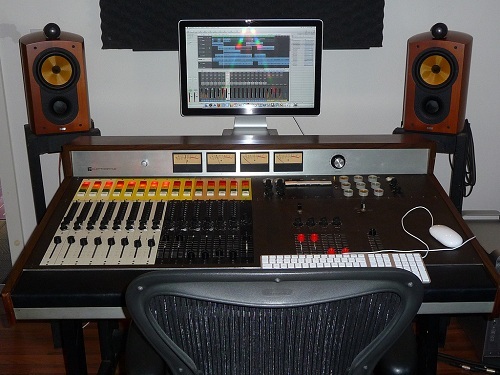 Larry DeVivo's Electrodyne ACC1204 Console, modules view, at Silvertone Mastering. 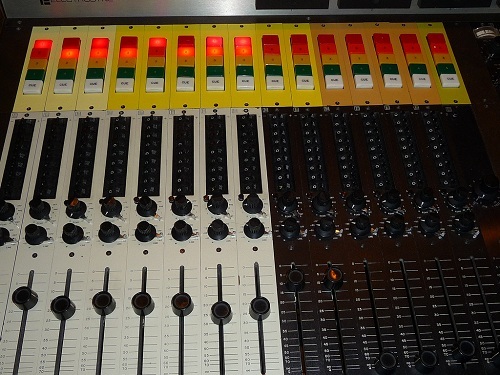 Larry DeVivo's Electrodyne ACC1204 Console, modules view with routing at top, at Silvertone Mastering. 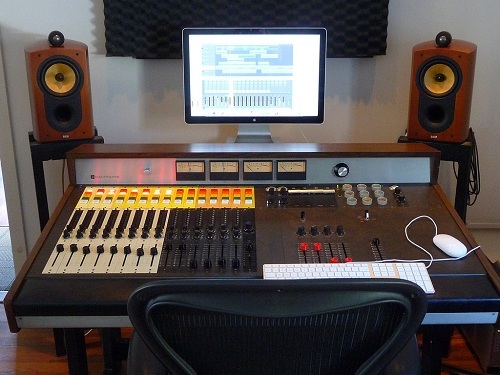 Larry DeVivo's Electrodyne ACC1204 Console at Silvertone Mastering - Full Console View. Do you have content, to add, about the Electrodyne ACC1204 Console or associated topics? Please feel free to Share it, here!